The 11 mile Tejano Walking Trails showcase a community dedicated to preserving its cultural history, celebrating the ideals of a young Texas Senator who chose this neighborhood to build a “Great Society.” As President, he empowered this community to lead his ‘War on Poverty' constructing and operating clinics, parks, and playgrounds that still stand. The trails highlight historic properties as well as local art commemorating Tejano Music Legends. It takes approximately 4 hours to walk. From IH-35, exit onto E. Cesar Chavez Street. Go east on Cesar Chavez Street and turn left onto Comal Street. Go one block north to E. 2nd Street. The Trail begins and ends at 211 Comal Street at the big red kiosk on the northeast corner of Comal and E. 2nd Street. A Trail Map is inside the kiosk. FREE Tejano Walking Trail Guides are available inside the Neighborhood Center building at 211 Comal Street and at Terrazas Library, 1105 E. Cesar Chavez Street during business hours. The Tejano Walking Trails (TWTs) are a work in progress, created by East Cesar Chavez Neighborhood leaders to accomplish three goals established in the official Neighborhood Plan. Goal 1 is to preserve historic structures and affordable homes. This Trail recognizes native families' contributions to build Austin into a world class city known as the Live Music Capital of the World. This historically working class neighborhood is adjacent to downtown Austin, sits ten blocks from the Texas Capitol, and 15 blocks from UT Austin. The neighborhood is in transition from being a low-income, minority community into one of the most desirable locations for hipsters and new urbanists plying their wares in a global economy. Native cantantes, craftsmen, and clerks – especially retirees - are struggling to keep up with rising taxes to stay in their ancestral homes. Educating younger family members might help keep them in the neighborhood. Goal 2 is to educate residents and newcomers about the historic assets in the hope that they might chose to upgrade old structures rather than destroy them. Many have stood for over 100 years and define the neighborhood character. On-line access to the Trail Guide has helped those who can not walk it themselves. Goal 3 is to create a vehicle to drive residents to a healthier lifestyle, especially youth and seniors who rarely walk or bike. The East Cesar Chavez Neighborhood promotes the Trails at four schools, two health clinics, one community garden, a recreation center, youth activity center, local libraries, and a neighborhood Center - all located on the Trails. * 26% of adults are obese. Fewer obese people are physically active than people who are not obese (21% vs. 46%, respectively). * 8% of adults report having diabetes, 13% of those who are not active report having diabetes. * 5% of adults report having cardiovascular disease. Fewer active adults report a cardiovascular disease than inactive adults (4% vs 9%, respectively). * Source of Data provided by Austin/Travis County HHS: Prevalence was estimated from the Texas Behavioral Risk Factor Surveillance Survey (BRFSS) 2010 oversample of Travis County. The BRFSS is a telephone survey of randomly selected adult Texans. The Tejano Walking Trail Guide describes 37 historical, cultural, or community gems. The Guide includes a map which highlights two trails: The Tejano Healthy Walking Trail and the Tejano Music Legends Trail. Both work to implement the three goals listed above: 1) preserve historic structures and affordable homes, 2) educate residents and visitors about historic assets, and 3) promote healthy lifestyles. While the Tejano Healthy Walking Trail focuses on historic structures and community gems, the Tejano Music Legends Trail commemorates Austin's Latino music legends from the 1940's and 1950's. The Tejano Music Legends Trail has dedicated public areas to these artists; most of whom lived in the immediate area. The Tejano Music legends Trail is a collaborative effort by the Austin Latino Music Association, the legend's families, and the City of Austin. 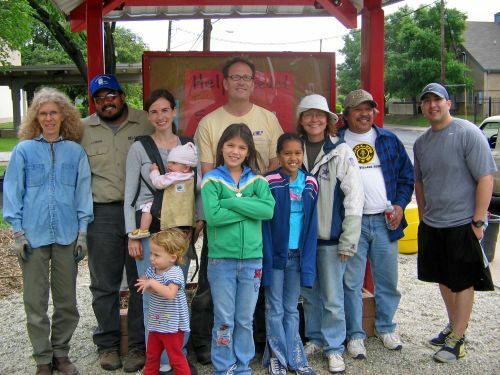 The Tejano Walking Trail Guide is a labor of love created by 30 volunteers. Five thousand copies of the Guide were published through the City of Austin's Neighborhood Enhancement Fund. The East Cesar Chavez Neighborhood has distributed nearly 3,500 copies to stakeholders leading to the development of a 2nd edition to expand the number of sites on the Trails, improve their walkability, and scheduling interpretive walking tours. Multiple partners are identifying resources to get more people using the Trails, including the Transportation, Public Works, Health and Human Services, Economic Development, and Parks and Recreation Departments, as well as the Austin History Center. Graduate programs in civil engineering, community and regional planning, and architecture at UT-Austin have used the Trails for service-learning projects offering traffic studies, and historic preservation tools like the Austin Historical Survey Wiki. The Austin Historic Survey Wiki has provided the East Cesar Chavez Neighborhood with technical support that has enabled them to seek and apply for funding based on the deep historic value of the area. The Heritage Society of Austin offices in a historic warehouse near the Trails, helps identify grants to apply for Local Historic District designation, and hosts a link to the Tejano Walking Trails on their website. 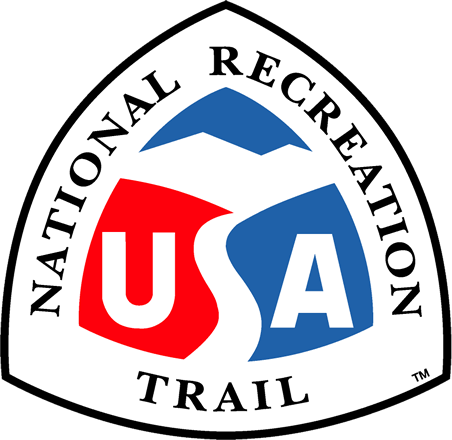 Designation of the Trails as a National Recreation Trail will increase the opportunity to secure funding to improve the infrastructure of the trails as well as helping to meet the goals described above. Taking the Trails to the next level involves creating a virtual tour which will allow internet users and library patrons to watch video interviews taken inside historic sites included on the trails.